No, I didn’t draw ninety-four thousand pears! Only two of them. 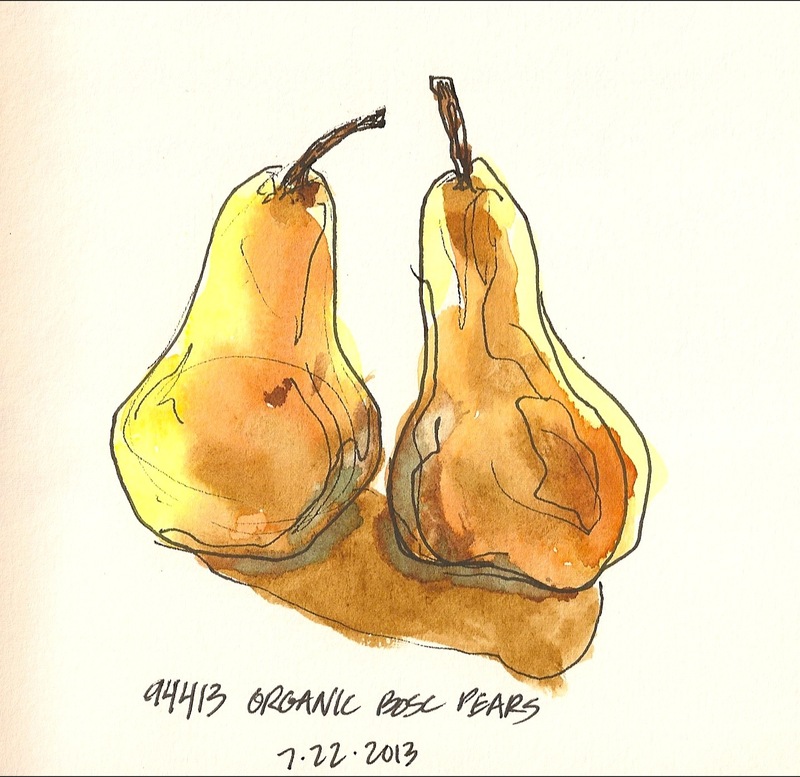 94413 is the produce code for Organic Bosc Pears. I pulled out the old watercolor tin and dusted it off for this one. It has been a very long time since it has seen any action. I was inspired by my wife’s godfather who visited us recently and showed us some watercolors he had done on his travels. I loved his colors and use of white space. We are getting ready for our annual family trip to California next week, and I’m telling myself that I will do some watercolor sketching while we’re there. It’s going to be super awesome; two days in San Diego and the remainder of the two weeks on the central coast. These are beautiful, Rob. I just had a synesthesia moment, hearing Simon and Garfunkel while looking at them. Hope you and Darby have a wonderful family trip. Need to see y’all sometime.